accurate in my opinion. As a dog owner, I feel our dog is part of the family. 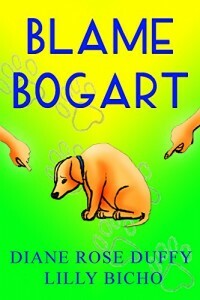 poor Bogart who always takes the blame. Luckily, Grandpa Mike and his old parrot Nellie move in with the Clarks. newcomer into the family, who steals the attention bogart deserves. is like the cherry on top of this bittersweet read. I would recommend this book for grandparents to read with their grandkids.